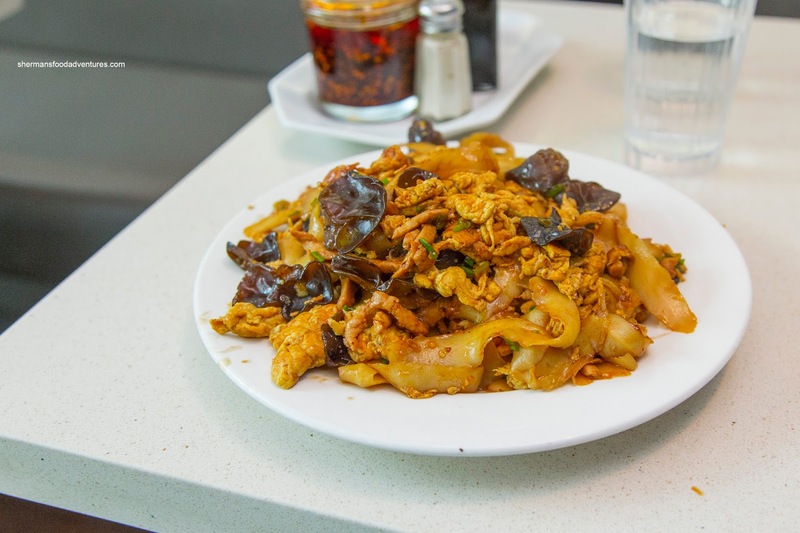 To say that New Westminster is a black hole of tasty eats would be a fair comment. All my New West friends often lament the lack of choice other than some sushi joints. Well, to be fair, there is Longtail Kitchen, Tamarind Hill and one of my personal favs, the Spud Shack. 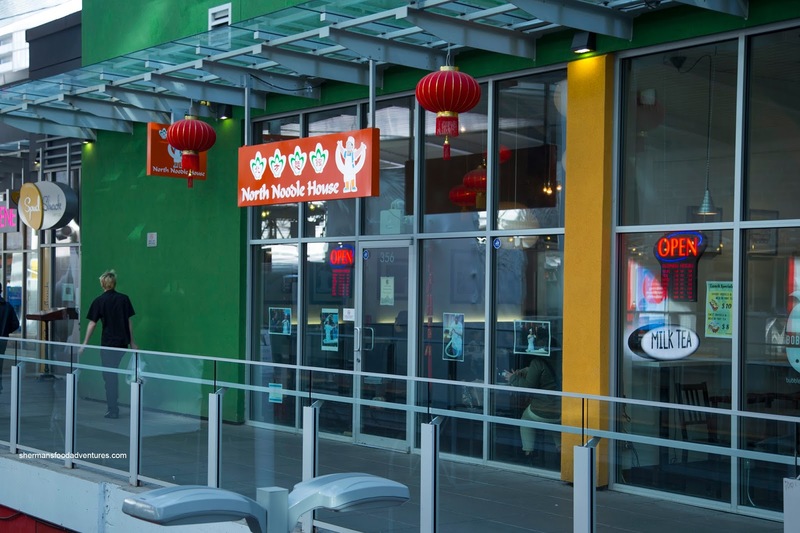 On my last visit to the aforementioned Spud Shack, I was somewhat shocked to see a Northern Chinese joint right next door featuring hand-made noodles. Nope, not exactly the type of restaurant one could associate with New West. 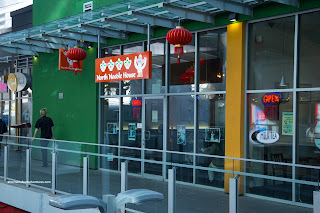 So more than a year later, we finally made it out to North Noodle House. We were able to snag one of the limited tables in the place. For myself, I didn't really care if no one else would be interested in the Cumin Lamb. I wanted the dish and if I had to eat it myself, so be it. The dish was mainly comprised of lamb with a bed of cilantro. This was much better than the one I had at Chuanyue. Evenly fatty and completely tender, the lamb was subjected to decent work-heat. I liked how the spice level came at me in layers as I ate the dish while the cumin was still apparent. Something that I wasn't expecting too much of was the Beef Pancake Roll. Surprisingly, it featured a soft onion pancake that was flaky and a touch greasy. It reminded me of the one found at Peaceful. Inside, there was more green onion and buttery tender slices of beef shank with quite a bit of hoisin. As for the noodles, we got the Cutting Noodles stir-fried with woodear mushrooms and egg. This was large portion consisting of chewy thick noodles that exhibited a nice rebound texture. The wok-heat was "okay" where the caramelization of flavours was mild (as the dish was somewhat wet). Hence, the impact of the dish was not very apparent. It was more of a study of textures than actual flavours. Up next was the Dragging Noodles with beef in soup. 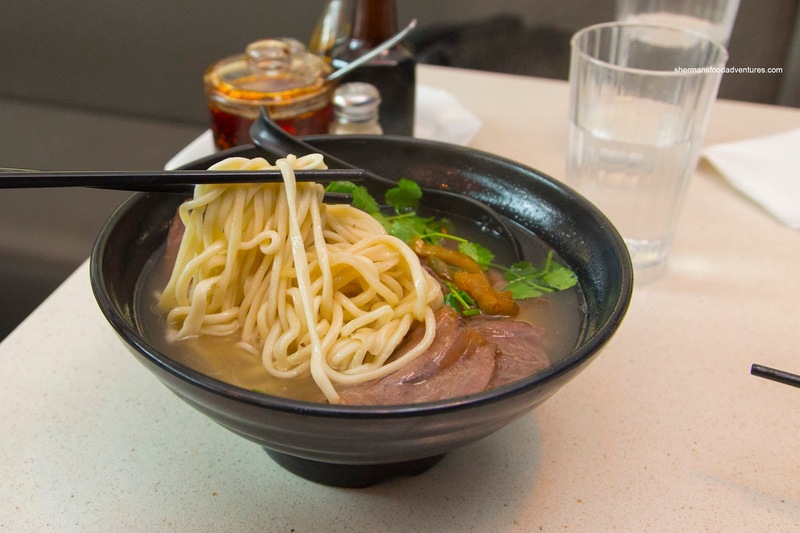 The noodles were mildly chewy while sitting in a flavourful clear broth. It was a bit surprising as this type of clear both is usually rather mild and almost bland. As for the beef, it was buttery tender, yet a bit underseasoned. 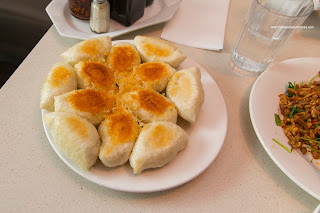 Lastly, we had the Pan-Fried Dumplings that looked appealingly seared until golden brown. As fluffy as they appeared (made with fresh dough), the dumplings were mostly dense, yet crispy on the bottom. 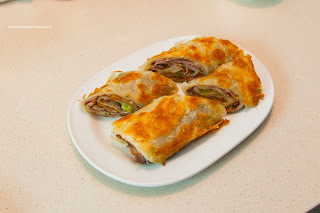 Inside, the pork and green onion filling was flavourful and juicy. It was well-seasoned being sweet, aromatic and tender. With a bottle of vinegar at the table, I was able to be aggressive with it where it livened up the thick "bao" wrapper. The dumplings were more visually-appealing than the actual eating-enjoyment. 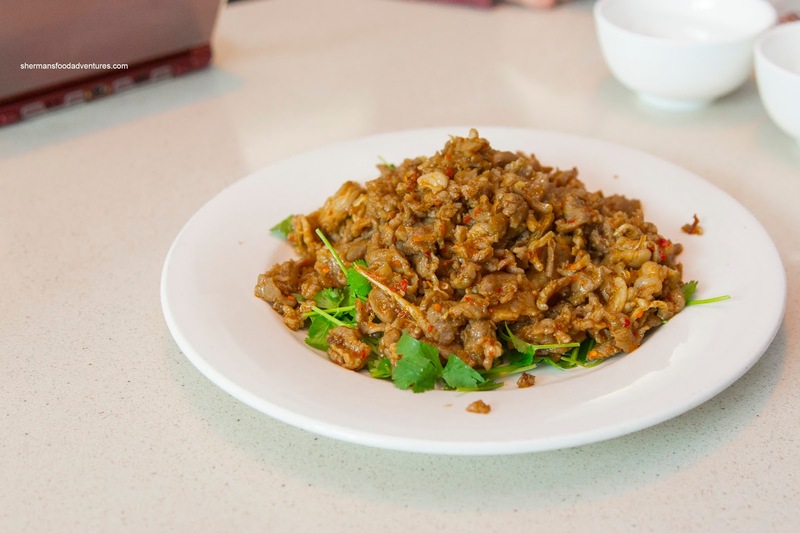 Despite this, the rest of the dishes were pretty solid, especially for New West. Definitely an option for a quick meal if you were in the area.